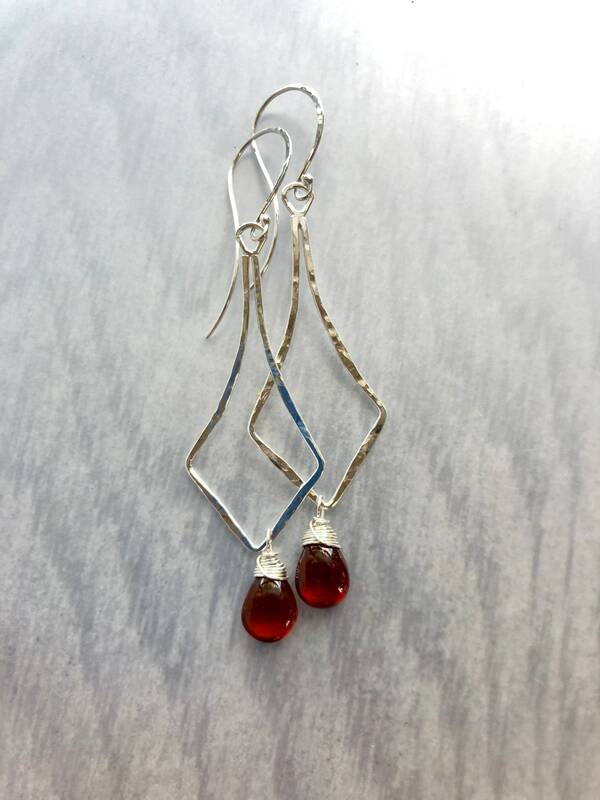 Big smooth red garnet briolettes hang on handcrafted silver kite-shaped chandeliers. 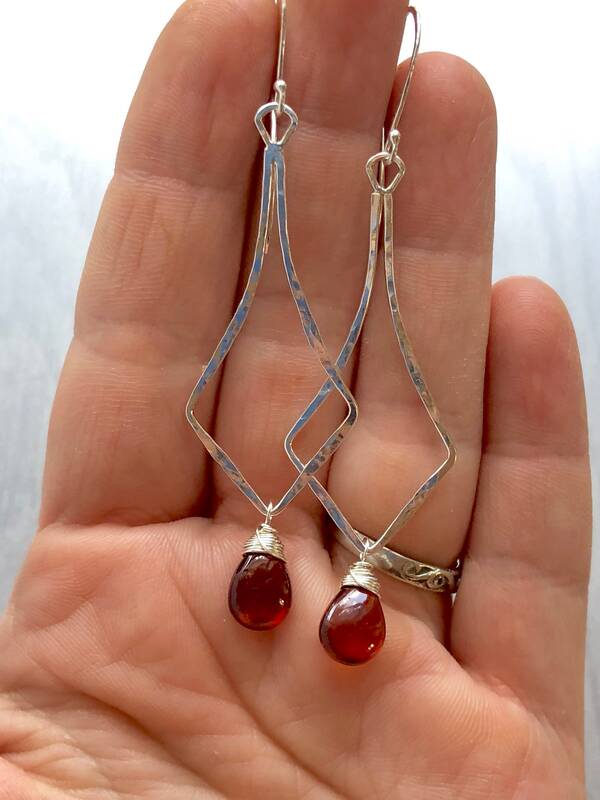 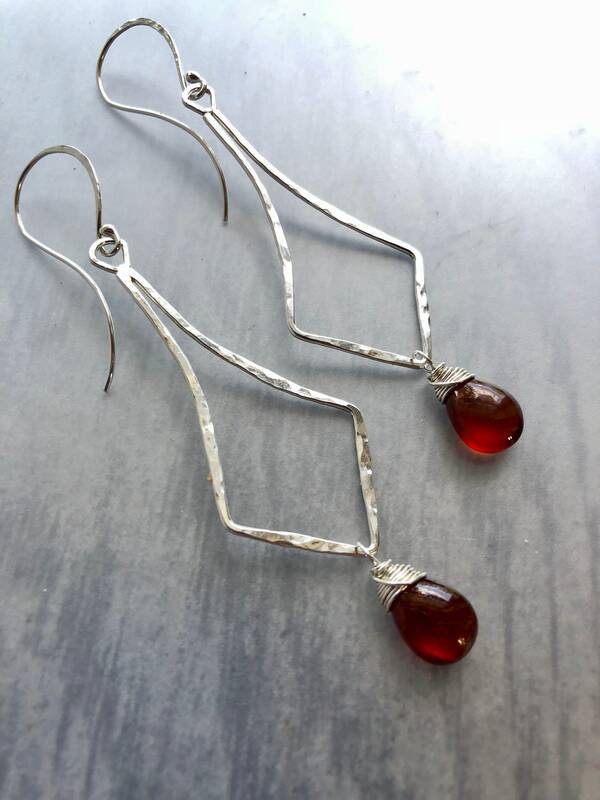 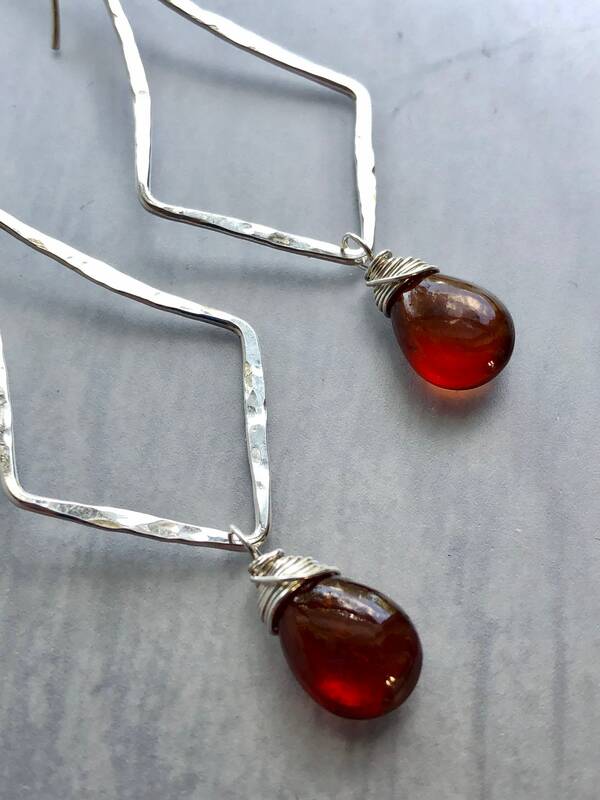 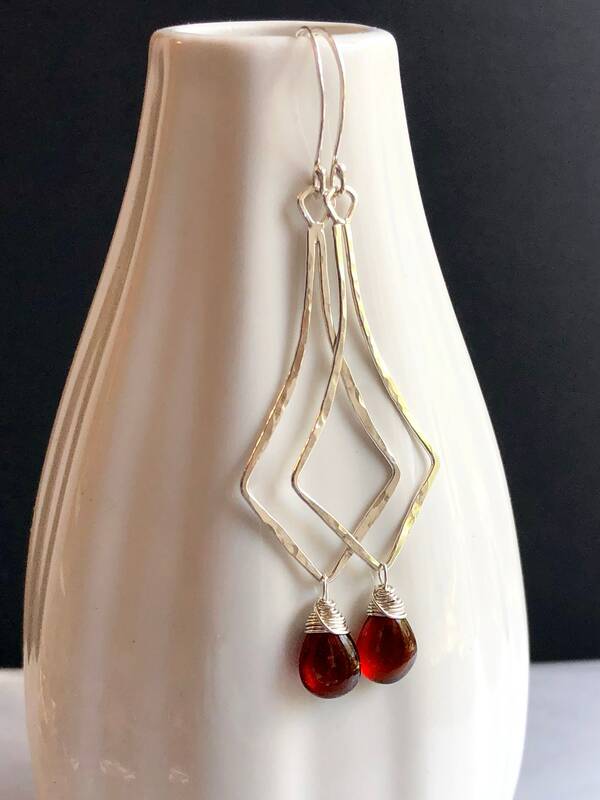 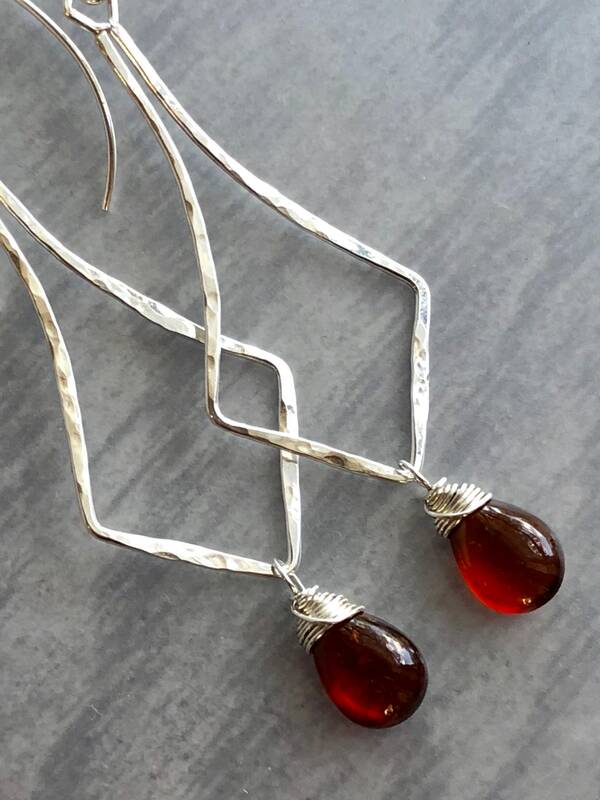 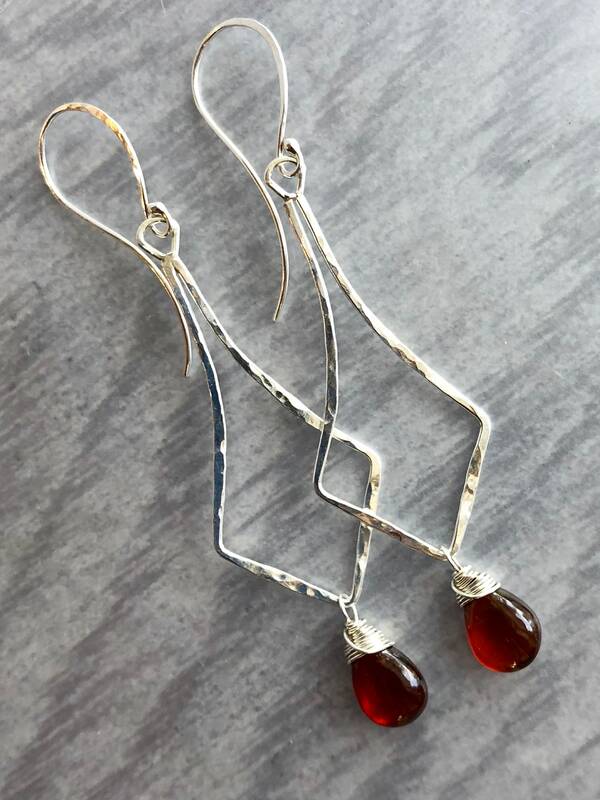 Argentium silver (sterling silver enhanced with a touch of germanium) doesn't oxidize like regular sterling silver, so these earrings will stay bright and shiny for a long time. 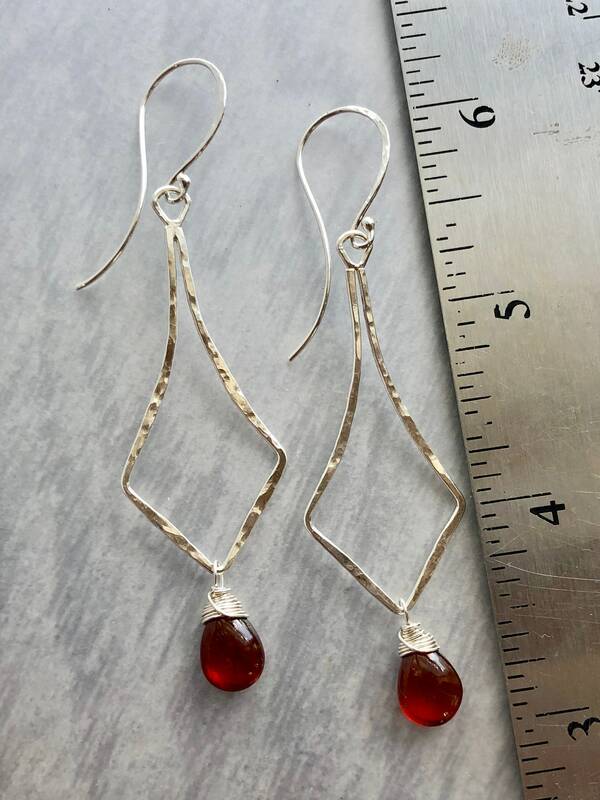 • These earrings measure just over 3" long. 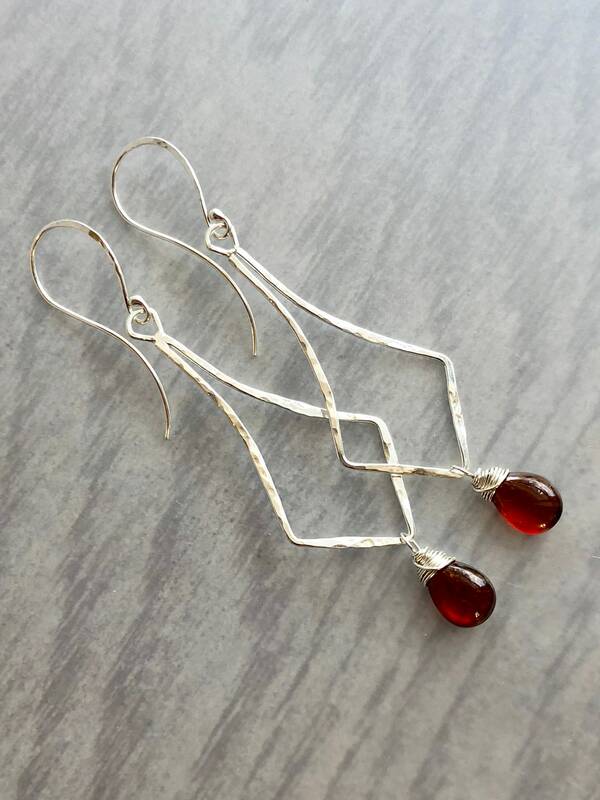 • The smoothly polished, deep brownish-red hessonite garnets are 12mm x 7.5mm.